Pro rider Terry Bostard offers great riding lessons for all skill levels of riders. Individual lessons are available. Click on the logo below to visit Terry's web site. 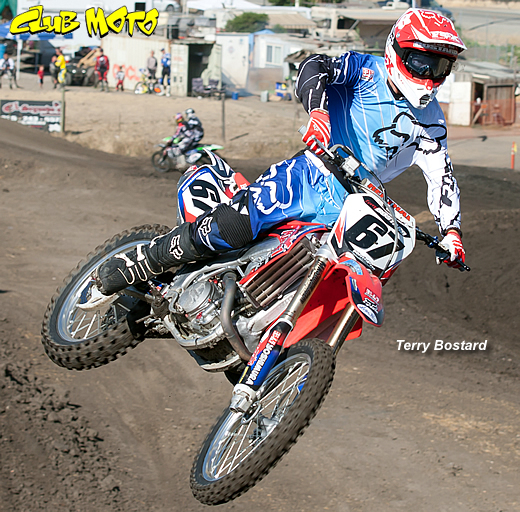 I started racing motocross in 1982 at the age of 14. I quickly fell in love with the sport. I turned professional at the age of 16 and received my first factory support from Team Yamaha Racing at age of 17. Injuries held me back those first crucial years of turning pro, and I was forced to take almost 2 years of racing off. I rebounded to become CMC Northern California Champion in the pro ranks in 1985, 86, & 87. Now, after becoming a father of 4 children my priories seemed to shift from racing to enjoying riding and teaching the sport. I enjoy teaching a variety of students ranging from beginner to professional.